The aftermath of Hurricane Sandy's intense destruction along Fairfield's shoreline neighborhood left most residents with the only option to build new. 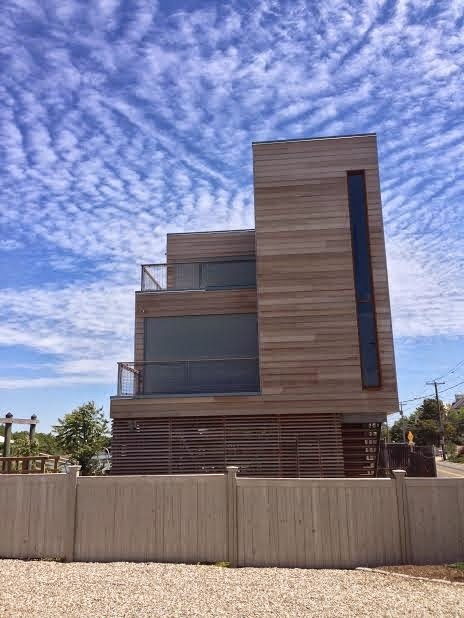 Now, nearly 2 years later, custom homes are featured throughout the beach area, with the majority influenced by the Shingle-Style design of the late 19th-early 20th centuries. So we were pleasantly surprised to arrive at this contemporary gem, pictured above. 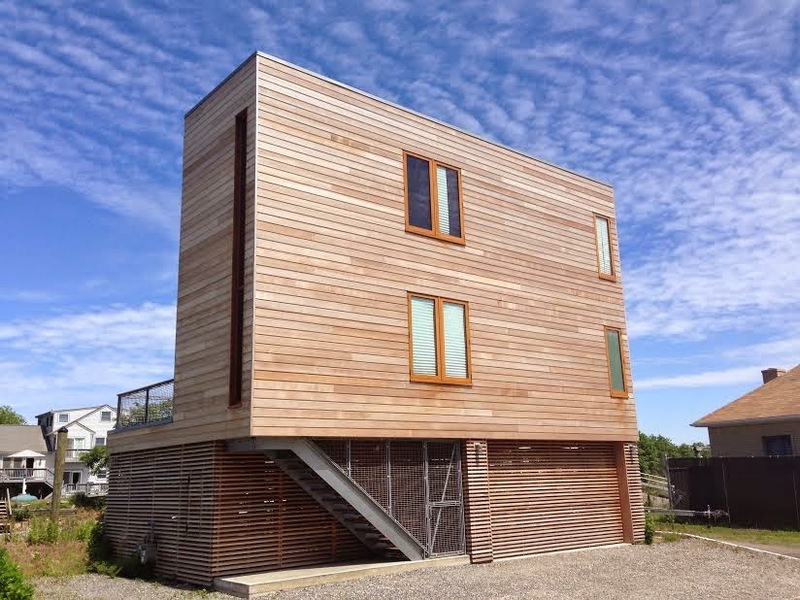 The lot spans from the beach across the narrow road to the canal, allowing for the construction of a detached garage/carriage house (photo above). 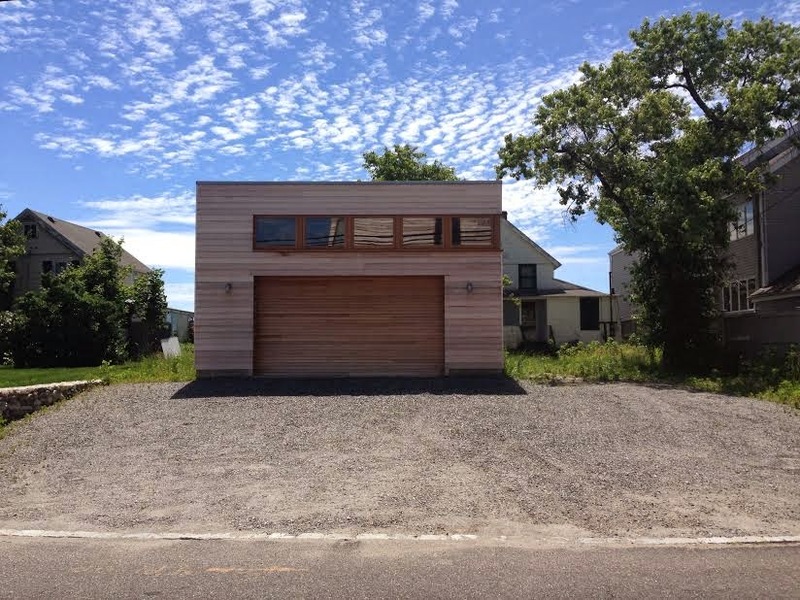 A 2nd smaller scale garage/carriage house also has been built on the portion of the lot that fronts the beach. 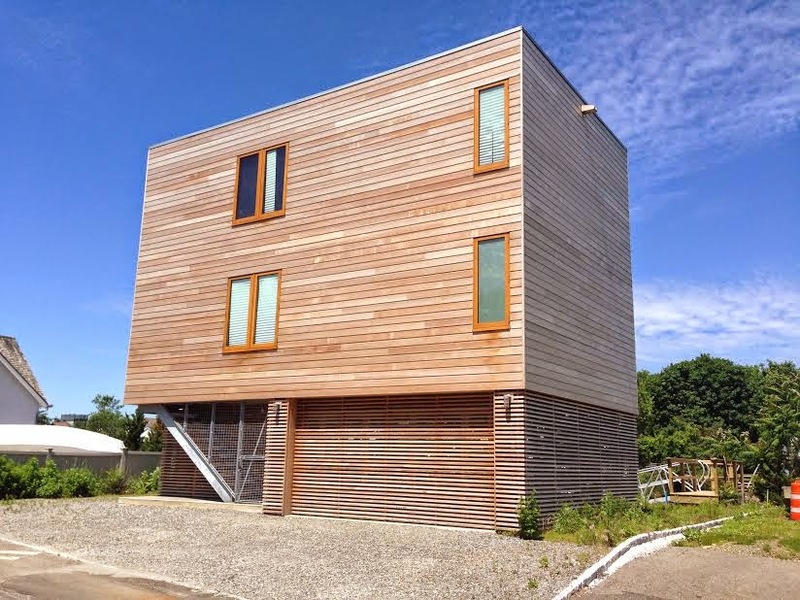 Perhaps the building of a larger main home to take in the LI Sound views is in the works. Wish we had been able to find out some detailed info on architect because the design rocks!